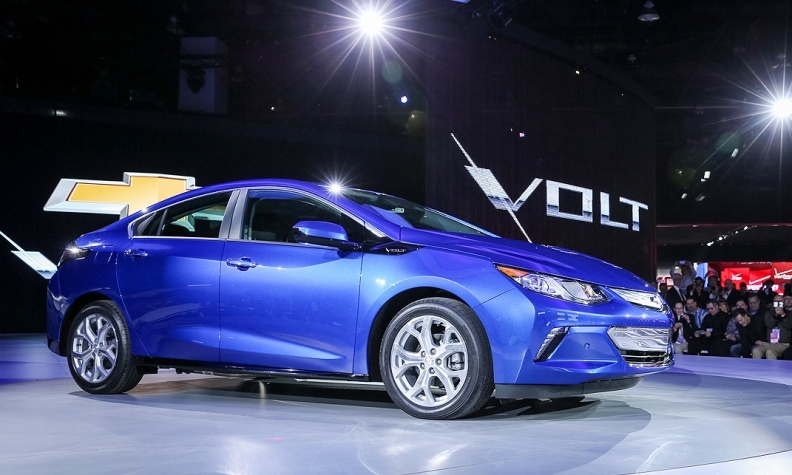 Chevrolet's newest Volt has dropped about 243 pounds compared to its predecessor. Mark Reuss is among the last guys you'd expect to downplay the importance of a car's 0-to-60-mph time. But that's just what the Nurburgring-certified test driver and General Motors' resident car guy did last week. Reuss was asked by a reporter about the 0-to-60 times of electric vehicles, such as the Chevrolet Volt and the under-development Chevy Bolt, due in late 2016. While the ample low-end torque on EVs produce zippy 0-to-30 times, their 0-to-60 times can be on the pokey side. The redesigned 2016 Volt, for example, covers 0 to 30 mph in a speedy 2.6 seconds, but its 0-to-60 time is a pedestrian 8.4 seconds. "It's not a surprising question, coming from the traditional automotive media, about 0 to 60. Some people are still in that discussion," said Reuss, GM's product chief. "I would say the real usable power is on the interstate, on midrange torque, throttle response," he said. "That's what I think is fun. That's where people use it." He added: "Not necessarily everybody's doing drag races."